This tutorial is a “quick and dirty” guide to creating and accessing HANA data from within Vora Tools using HANA virtual tables. This tutorial assumes you have a working SAP Vora 1.4 installation as well as a functional and working HANA Platform database running. These can be on separate systems but must be networked. 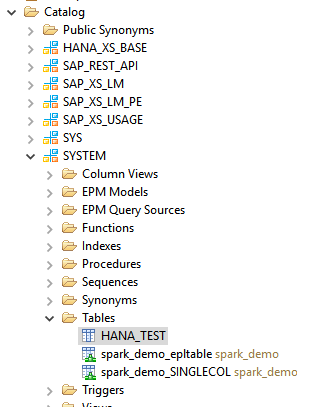 We can see the table HANA_TEST resides under the SYSTEM catalog and is accessible by SYSTEM user. 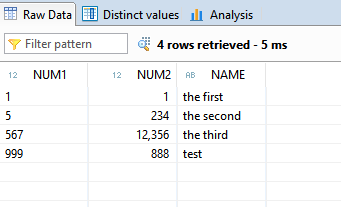 The table schema should automatically be picked up via the dbschema option. You can alternatively specify this with an additional schema option. This is a very basic quick start guide for creating virtual HANA table from within Vora Tools.